It’s that time of year again! Fresh from having the bejesus scared out of you by sugar fuelled tricky tricksters, it’s time for you to start thinking about your next big campaign. We all know Christmas is a busy time for salons – but what about January? Not quite so busy, is it? We’ve got something for you. We’re delighted to announce the very successful ‘Attitude of Gratitude’ Phorest loyalty scheme is back by popular demand! You know you’re going to be busy for the festive season, so wouldn’t it be wise to start planning for the quiet period now? The Attitude of Gratitude is your law of reciprocity – when you give something to someone, they feel an obligation to give back. The Phorest loyalty scheme we offer is your Christmas marketing strategy guaranteed to boomerang clients back in for January! Share the Attitude of Gratitude with all customers in December. Reward them throughout Christmas with a small token of gratitude, assured to get them back in for January. 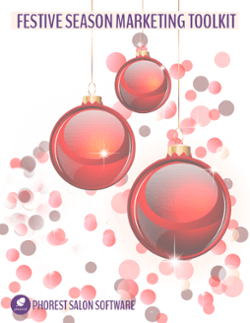 Send your clients an SMS and Email with a special Christmas present: a Christmas Gift Card. 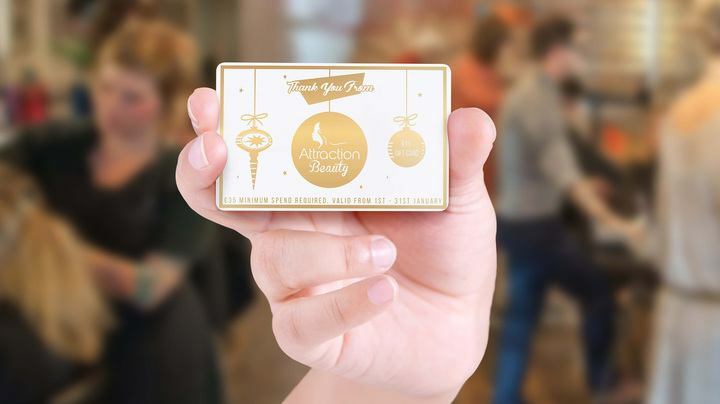 Each gift card comes with a set value of your choice, that they can collect IF they book their next appointment there and then. The Gift Card itself can only be redeemed in January! Oh, and yes, if your clients can’t use their gift card, they can pass it on to a friend who can. For your customers to avail of their special gift, they must book another appointment. Pretty clever, right? And so much better than discounting your services! 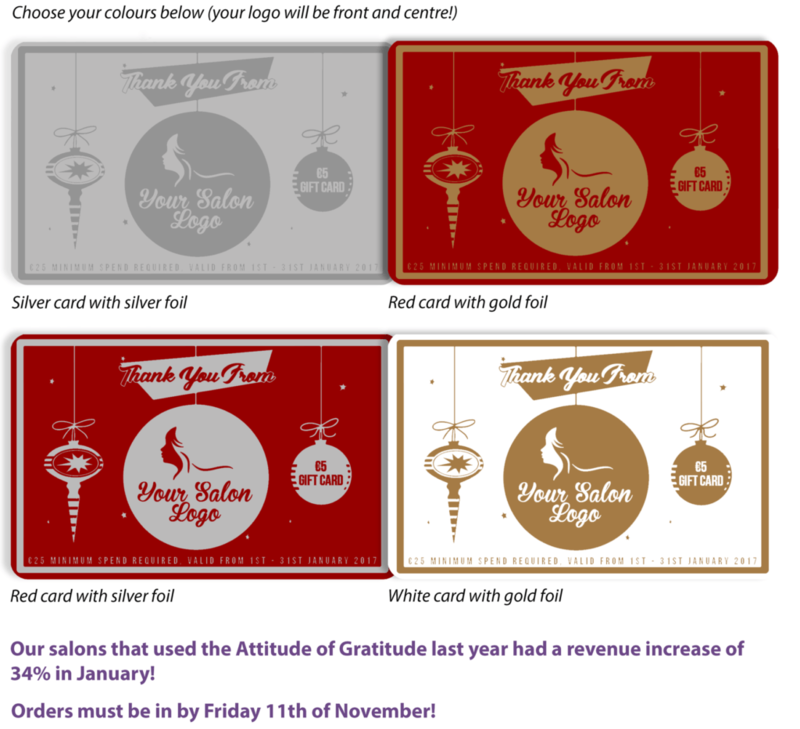 It’s ‘snow’ wonder that 134 salon owners gave out Attitude of Gratitude gift cards to their clients last year and increased their revenue by £193,000! This salon Christmas marketing idea is so powerful that you wouldn’t even need to do a holiday special this year. We even help you track the success of your campaign. Place your order before Friday, November 11th if you would like to avail of this salon Christmas marketing secret weapon! Are You Not A Phorest Client? Worry not, we’ve got some amazing content you can download for free to help you plan Christmas! Click here to read and access our Salon Festive Season Marketing Toolkit & ideas! In Phorest Salon Software’s Education Department, Killian Vigna focus includes making training more accessible to owners and their businesses, as well as helping modernise the content and tools used to deliver all educational material. Killian currently oversees the rollout of Phorest Academy, a learning portal for clients, and develops self-taught eLearning content for busy salon owners.